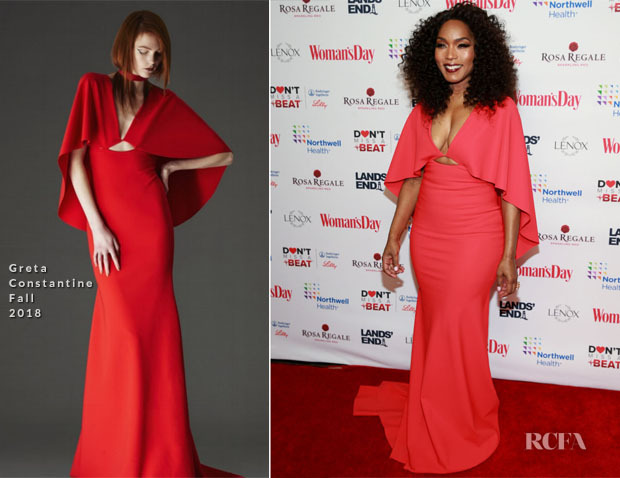 Angela Bassett honoured the Woman’s Day celebration of the 16th Annual Red Dress Awards on Tuesday (February 12) in New York City wearing Greta Constantine. The Fall 2018 red capelet gown provided plenty of eye-popping drama for the occasion, but I’m not too fond of the cut-out here. Does anyone else wish this part of the look was modified? I’m not entirely sure it’s flattering on Angela.